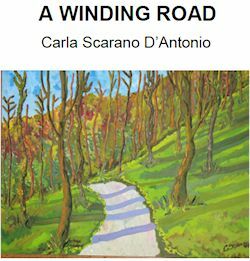 You can download or read on-line my pamphlet, A Winding Road, or order the hardcopy, contacting me by email. I post a short article every two weeks during the weekend, except on holidays. 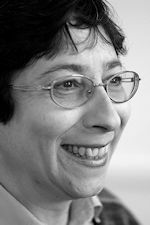 My articles are Italian or Anglo-Italian recipes I personally develop at home, journals of my travels around England, Italy and other parts of Europe, family stories, Italian traditions and opinions on what is going on in our wonderful world. I am an Italian teacher; poet; short story writer and painter. 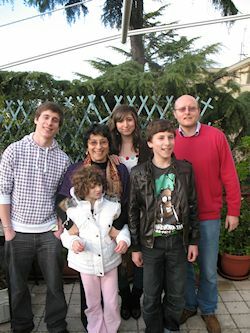 I live in Chobham and teach Italian language and literature in an international school in Woking. I read my work at Poetry events around the country. At the moment I am attending the Woking Stanza group and Woking Writers Circle as well as being a member of the Poetry Society and of Second Light Network for women poets. My inspiration, both in writing and in painting, comes from where I live, what I do and the people I meet. It can be a view of English landscape, flowers on a wall, working in my back garden, or an encounter. I am also very much inspired by travels, exhibitions and memories. I think most of my work is a revisited memory of what I saw and experienced in the recent or distant past. You can browse in the links and find out more about me and my work by reading my blog, my pamphlet, and looking at my paintings and family photos. I have published work in Shipwrights (an online Swedish Review), Purple Patch, First Edition magazine, Northern Life, audio Flax Anthologies: Vanishing Act (Flax 020), Flash Mob (Flax 026), Cake, South, London Grip, Poetry News, Lighthouse and the Beautiful Dragons anthologies Heavenly Bodies and My Dear Watson. I self-published my poetry pamphlet A Winding Road. I also write the blog carlascarano.blogspot.co.uk/ where I publish recipes, my art work, travel journals and opinions. I am currently working on a PhD on Margaret Atwood's work at the University of Reading. First Prize: John Dryden Translation Competition 2016. The prize was awarded for translation of some poems by Eugenio Montale that Keith Lander and I co-translated.